Here in the UK we have the privilege of being surrounded by great history and heritage, partly made up of beautiful old buildings, many of which are part of educational institutions. Most of the oldest surviving buildings dating back and beyond 500 AD are churches, monasteries and castles, which are rarely occupied today and highly protected. However, there are nearly 500,000 listed buildings in the UK today, all of which require special attention to maintain or modify. 10,000 of these are grade 1 listed with exceptional interest, requiring very special attention, but the rest are grade 2 listed which still require a degree of interest to modify. Owning a grade 2 listed building requires a degree of sensitivity when upgrading or making modifications to it such as installing access control. It’s advised that the owner research the important and historic features of the building and that any alterations have the ability to be reversed if needed, this ensures the original form and appearance of the building isn’t lost forever. Caution is advised though as it can be a criminal offence to make certain changes to a listed building without consent from the local planning office, so getting this right is vitally important for organisations. Lock and key has been the access control of choice for old buildings for millennia, but these days a more modern approach is needed to enhance and enforce security and accountability, as well as reduce time and resources spent managing keys for potentially thousands of users. Currently many educational organisations have as part of their estates, a listed building and some more than one. These organisations may already have electronic access control in newer campus buildings and now want or need to tackle their listed buildings to benefit from improved security and accountability across the campus. The typical approach to electronic access control is a door with wall readers, controllers, PSU’s and maglocks etc. These elements require drilling into the walls and doors of the building which causes a big problem for listed buildings as this will usually not be permitted. Thankfully technology in access control helps overcome this. By using electronic handles (escutcheons) or electronic cylinders, you can easily avoid any unnecessary drilling and modifications, helping bring these buildings under central control. Electronic cylinders are the least disruptive solution as these simply replace the existing Euro profile cylinder that sits through the mortise. With a variety of finishes the integrity and aesthetics of the door can be maintained too. What’s great about this solution is the price is typically a quarter of the cost of the wall reader approach and involves a lot less disruption. 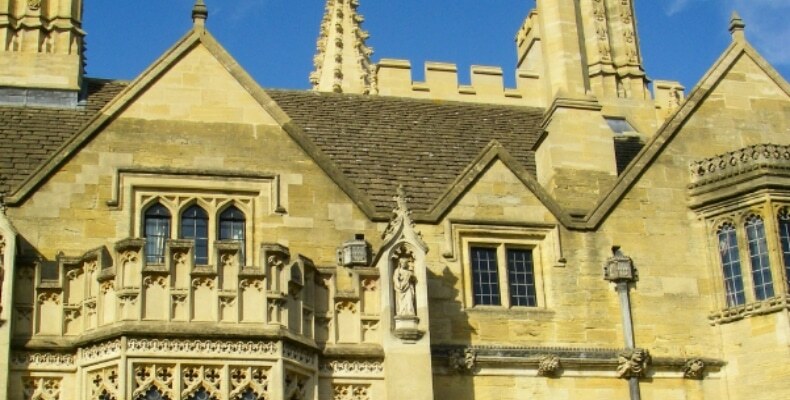 If you’re a university or college who have a listed building that needs securing, why not give AIT a call to discuss how we can help enhance and improve your security. You can visit our website here or call us on 0113 273 0300. SPONSORED: If the worst were to happen, how would you keep your students safe? Is your Library really 24/7? Where is your library going in 2018?